I remember the beautiful mermaid that hopelessly fell in love with a charming sailor. She sew her veil in the depths of the sea, desperate in need to find him. The mermaid sacrificed her former life and identity, her freedom in the depths of the blue sea to find the love of her life. She searched high and low, in the most unusual places that you would expect to spot a nymph of such ethereal beauty. Carrying not more than a single bottle of salted water to give her strength on the land. Lost and distraught, she ends up at the peer gazing into the distant horizon. Yearning for a love that will never be fulfilled. Love that is lost. That mermaid is Sade. I remember her since I was 7 years old. Her voice, her smooth words, her beautiful presence. I believed that she is the beauty itself. After 18 years I still do. I still soothe my soul with her songs, reminding myself how the good past times were when emotions were raw and sincere. I cannot accept the change that took place in the music industry in the past decade, and the shift of values that is present today. Maybe I am old-fashioned in a way, but her songs give me a peaceful feeling and I wish to share it all with you. Sade was born under the full name of Sade Helen Folasade Adu on January 16, 1959, in Ibadan, Nigeria. The daughter of an economics professor and a nurse, relocated with her English mother to Colchester, Essex, at the age of 4, after the separation of her parents. Although Sade studied fashion design at St. Martin's Art College in London (her work was featured in Spandau Ballet's first American appearance), Sade's true passion was music. When she was a teen she had many part-time jobs (bike messenger, waitress and model). But Sade always made time for music. Inspired by jazz and soul great names as Curtis Mayfield, Marvin Gaye, Nina Simone and Al Green, Sade finally let go of potential fashion career to join as a vocalist with jazz/funk band, Pride. By 1983, Sade split from Pride, along with the group's guitarist and saxophonist Stuart Matthewman, keyboardist Andrew Hale, and bassist Paul Denman. Together they formed the group we all know as Sade.They landed a record deal that burst them onto the British pop scene with their 1984 single, “Your Love Is King”. Spawned from the album Diamond Life, (the album was only released in the US in 1985) although it was already a Top Ten hit in the UK.The album, which is still the all-time best-selling debut album by a British female artist, gave such hits as “Smooth Operator” (penned by Sade while she was with Pride), “Hang On To Your Love,” as well as the album's title track. That year, her Live Aid performance at Wembley Stadium, and her Best New Artist Grammy cemented Sade's success. 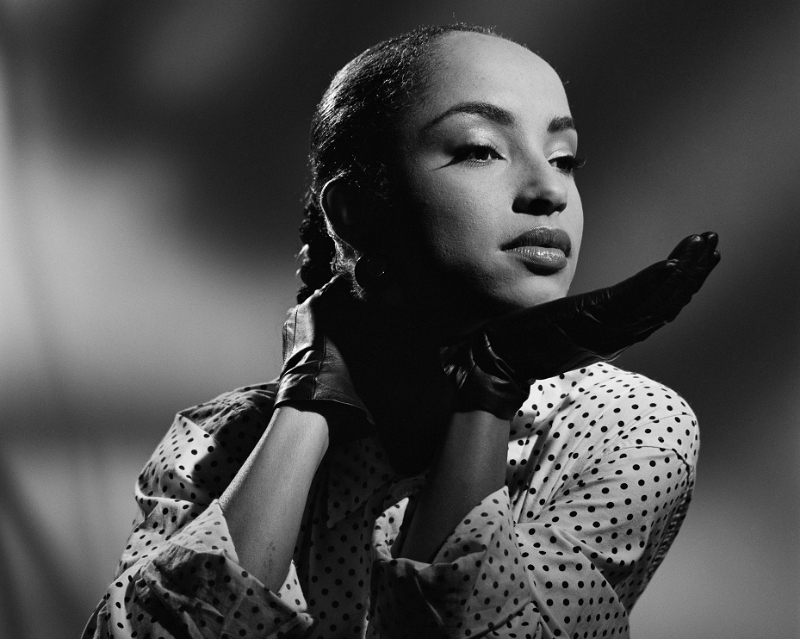 Before the release of Sade's second album, Promise, Sade Adu made her acting debut in Julien Temple's Absolute Beginners, which featured a song she co-wrote, “Killer Blow”. After Promise's huge success (it quickly rose to the top spot on the charts with hits such as “The Sweetest Taboo” and “Never As Good As The First Time”) and extensive touring, Sade escaped the intrusive life of a high-profile figure, and sought refuge in Madrid. 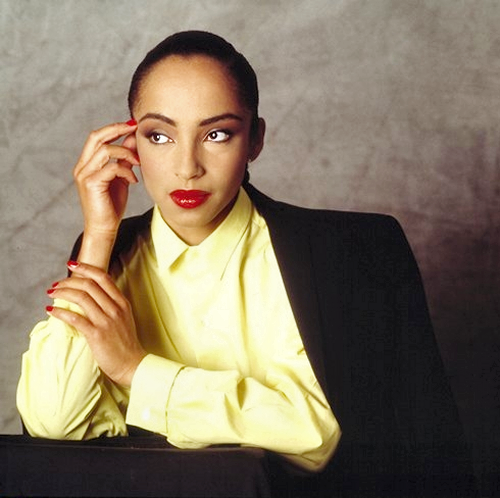 After the 1988 release of Stronger Than Pride, (marking the end of her temporary exile) Sade relocated to London, where she bought and renovated the house which would serve as the creative spot for the her and her band. The result of their creative efforts was the 1992 album, Love Deluxe, which was magnificent and successful as the previous ones. Delivering such hits as “No Ordinary Love” (featured on the soundtrack of the Demi Moore film Indecent Proposal), “Kiss of Life” and “Cherish the Day”, the group's fourth album is known as the most ambitious one to date. 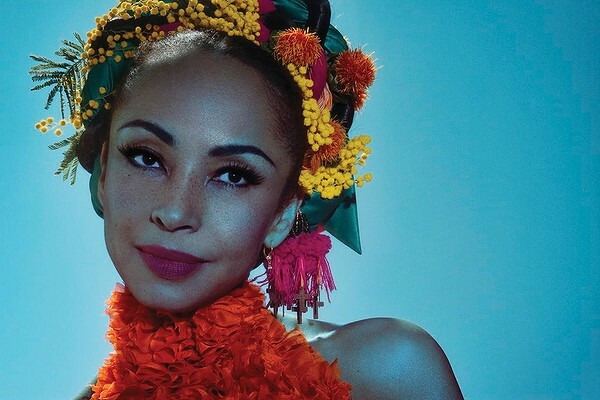 Six years after the release of 1994's multi-platinum Best of Sade, a collection of her best songs, she returns with her band to release Lovers Rock. The first album to be produced solely by the band itself. 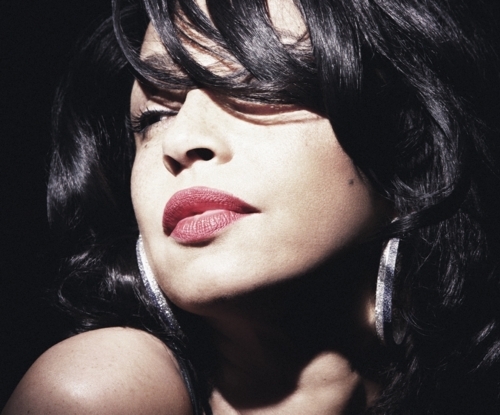 It showcases Sade's sultry songwriting skills and soulful, jazz-inflected voice.As one of the few singers to grace the cover of Time, Sade's talent and unique style have made her one of music history's music icons. What I personally love about Sade is that she is not your typical singer, she not only sings about love and emotions but touches many other deep life topics. Such as unemployment, slavery, hurt, other people and their tragic life paths, unprivileged people, strength and challenges we all face through life. Even when she sings of love, she sings with such emotions, her entire soul intertwined with the words she sings. Touching all the distant corners of human relations. The passion, affection, hurt, betrayal, commitment, loyalty, the ease, the compromise. Her unique beauty and dignity make her stand out. The sultry voice that caressed so many hearts over the decades has so many avid listeners that are loyal beyond belief (me including!). After a long, decade log pause when Sade came back in 2011. and made a world tour Bring Me Home, masses hurled to hear and see the queen of soothness. Sade is the epitome of elegance and dignity, class and talent. 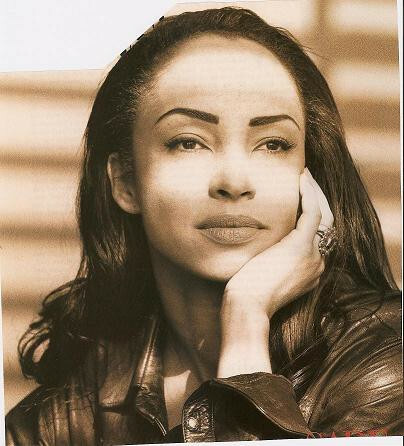 Sade iz amazingly beautiful after all these years, the real example how beauty does come from within. One must listen her sing live to actually know what true singing is. Pure. Sade. 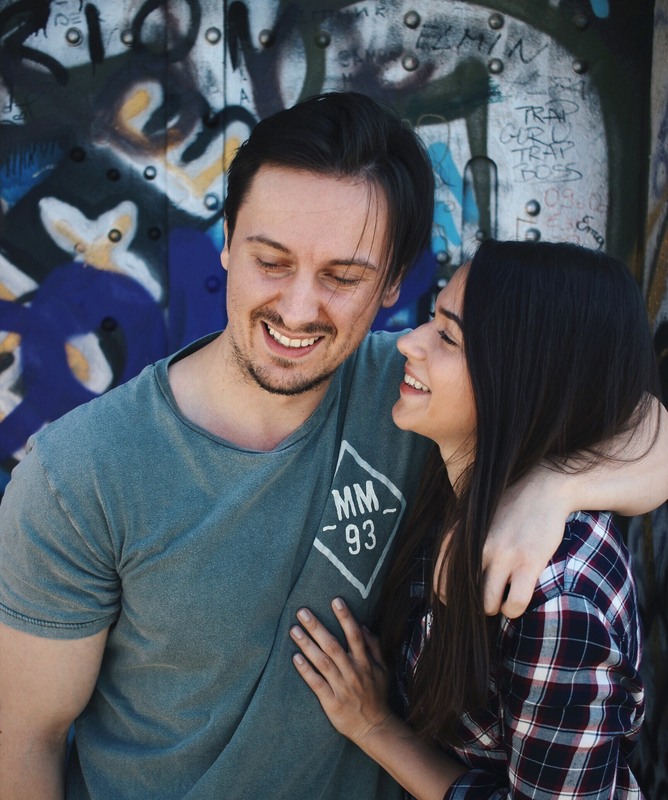 Next Post One month Blogiversary! Great write up and photo illustrations of Sade! SHE LOOKS AND SINGS BEAUTIFULLY, TRULY ONE OF THE VERY BEST… KEEP US POSTED, I KNOW SHE'S NOT DONE!!! !